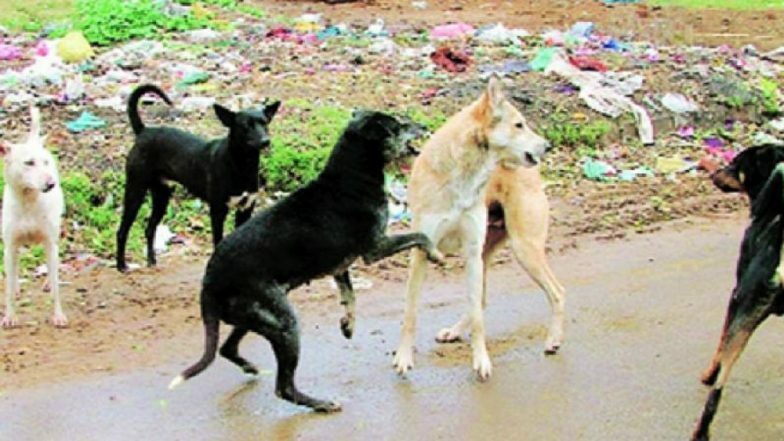 Kendrapara, April 12: A pack of stray dogs was sighted feasting on a stillborn baby dumped on the roadside near a government hospital in Odisha's Kendrapara district on Friday, police said. The pedestrians spotted the canine species devouring the body beside the road, close to the district headquarters hospital here, and later chased them away. The police, who rushed to the spot, found the babys mutilated body and immediately sent it to the district headquarters hospital for post-mortem, the police said. Bihar Shocker: Stray Dogs Occupy Beds at Nawada Govt Hospital, Patients Sleep on Floor. It appeared to be a stillborn baby, a police official said. "Records at the maternity wards of the hospitals in the area are being verified to ascertain the parentage of the baby," he said.